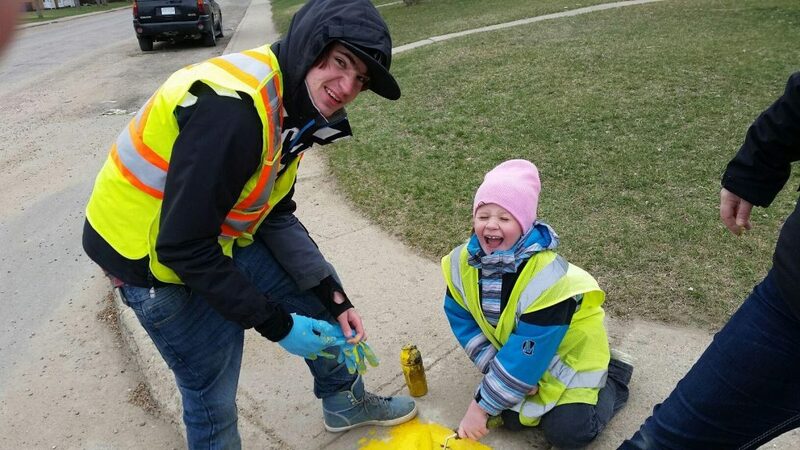 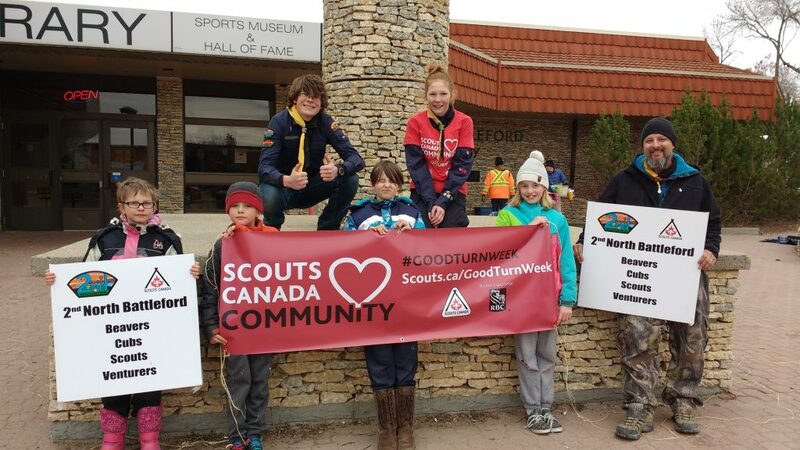 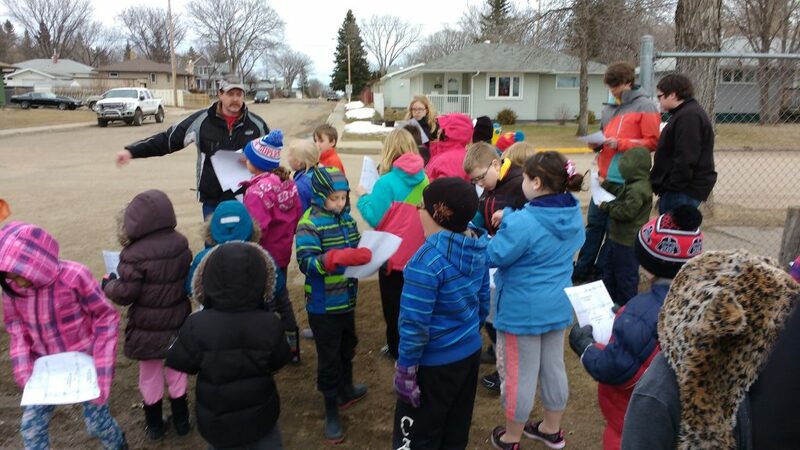 Near the beginning of this year, the 2nd North Battleford group (Beavers to Venturers) in Saskatchewan started to think about Good Turn Week (Apr. 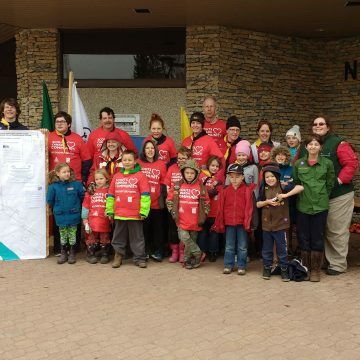 22-May 1, 2016). 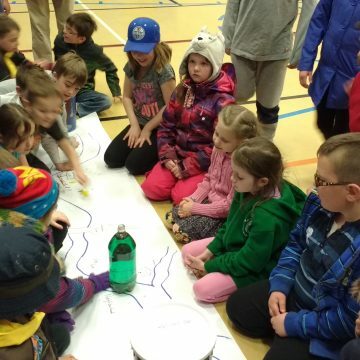 Ideas were discussed amongst the youth and it was voted upon that we wanted to take part in the Yellow Fish Road project. 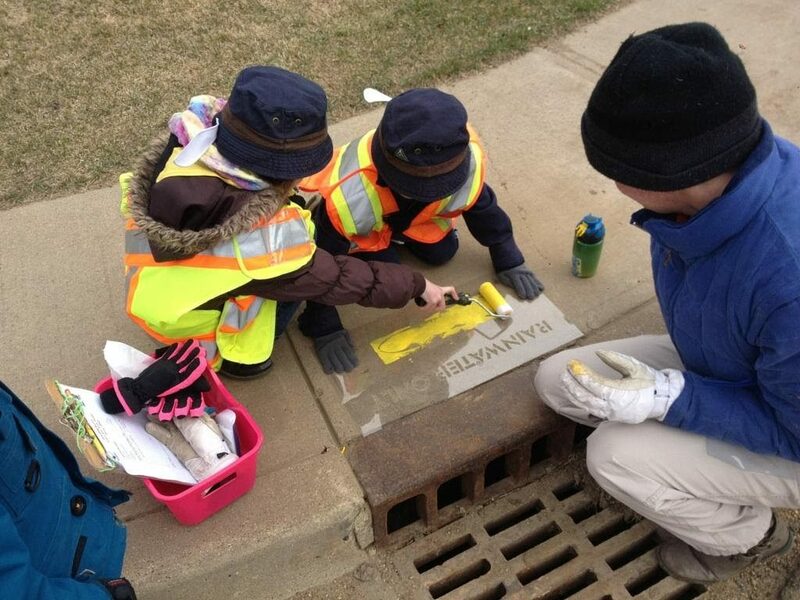 The Yellow Fish Road is a nation-wide environmental education program designed and managed by Trout Unlimited Canada. 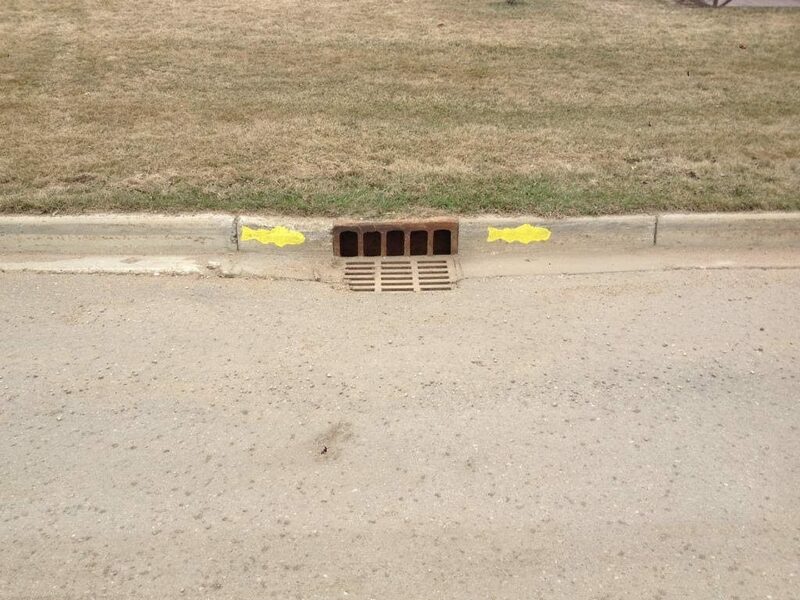 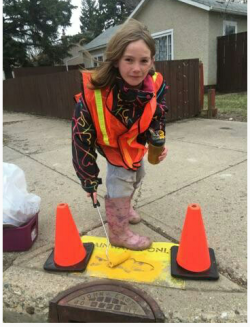 The Yellow Fish Road program’s goal is to help Canadians understand that storm drains are the doorways to our rivers, lakes and streams. 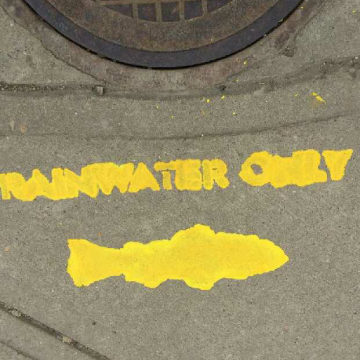 Preventing pollutants from entering our storm drains is critical to protecting and improving our watersheds, water quality and aquatic habitat. 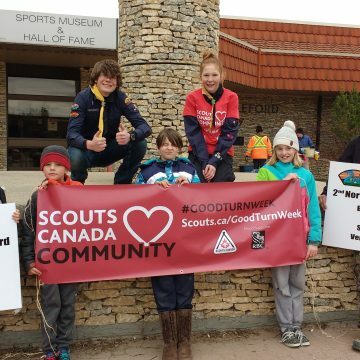 We submitted our idea to Scouts Canada’s Good Turn Week Challenge and it was accepted as an official Good Turn Week project! 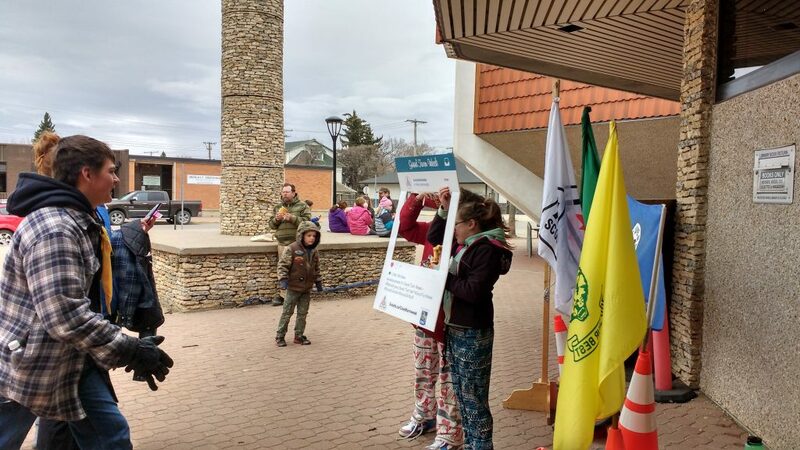 In the weeks leading up to our event date, we shared as much information as we could with our youth, parents, and community. 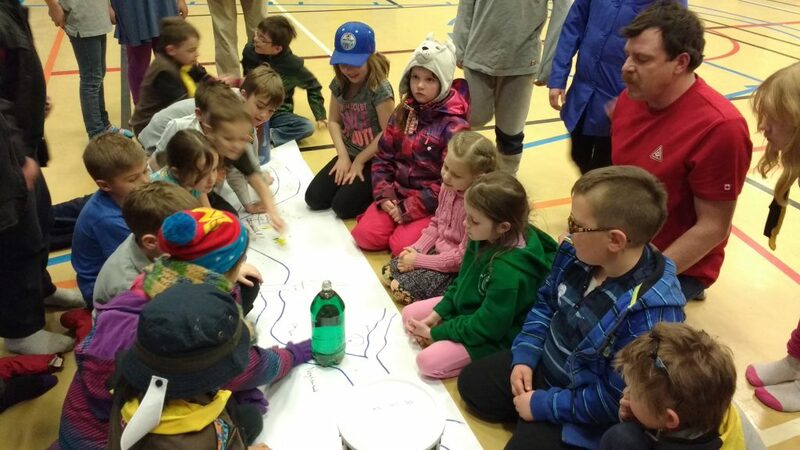 Scouter Sarah Thompson became familiar with the Yellow Fish Road Project website and located a fantastic demonstration that we used at a Beaver and Cub meeting called “Fred the Fish”. 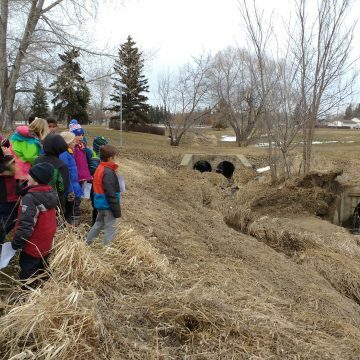 It introduced the project to our youth as it took us on a journey with Fred as he traversed through polluted waters in his neighbourhood. 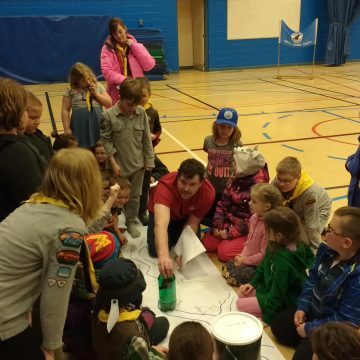 After the demonstration, Scouter Derek Robbins led the group on a neighbourhood walk pointing out the real life equivalences to the demonstration. 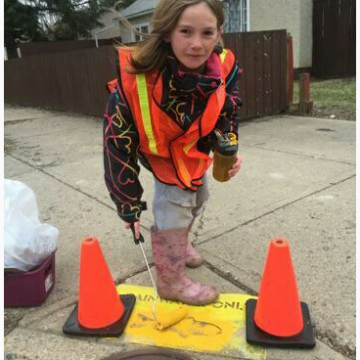 We collaborated with the City of Regina, the City of Calgary and the City of North Battleford to obtain the materials and resources needed. 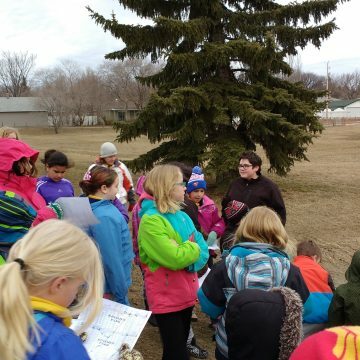 We received food donations from local businesses in order to provide lunch to all of the participants at our event. 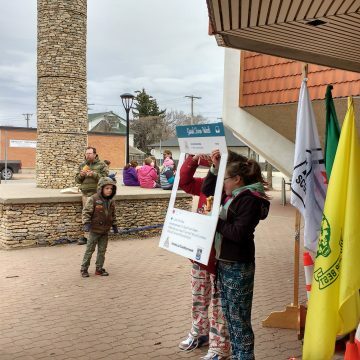 Our project was shared at a televised City Council meeting, through printed newspaper and on-line. 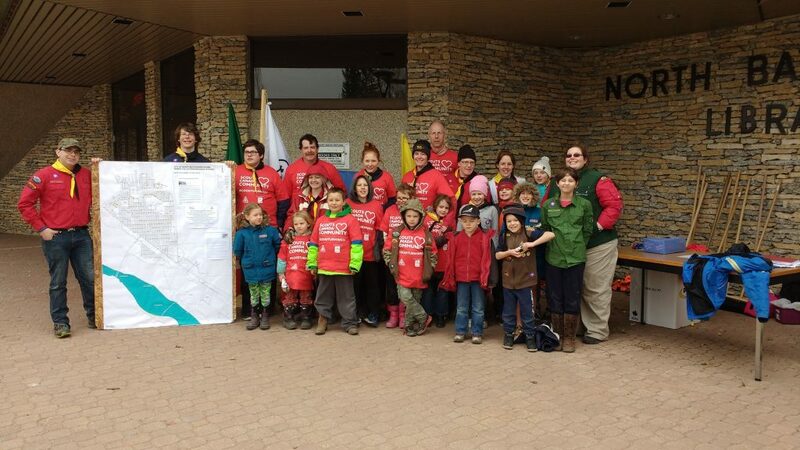 On Saturday, April 23, 2016, we mobilized the program’s active component. 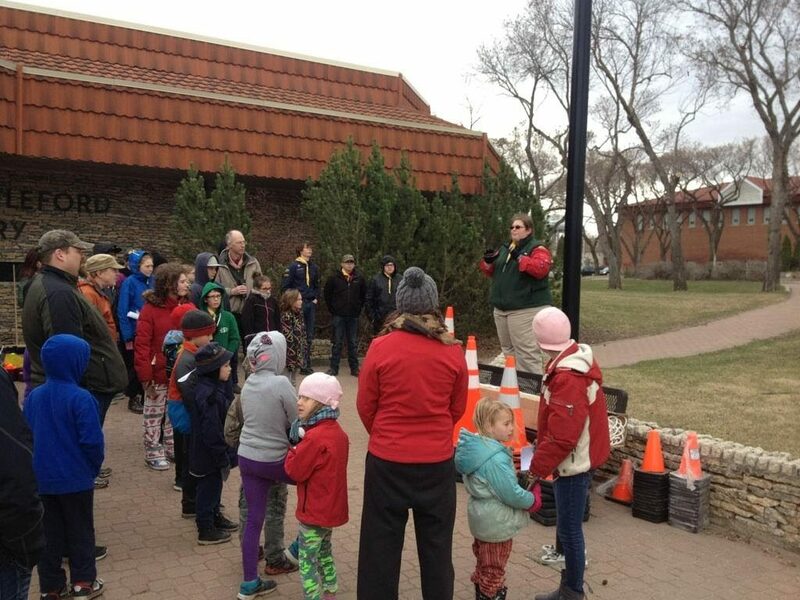 The day started with route selection, equipment distribution, and a speech from our Mayor, Ian Hamilton. 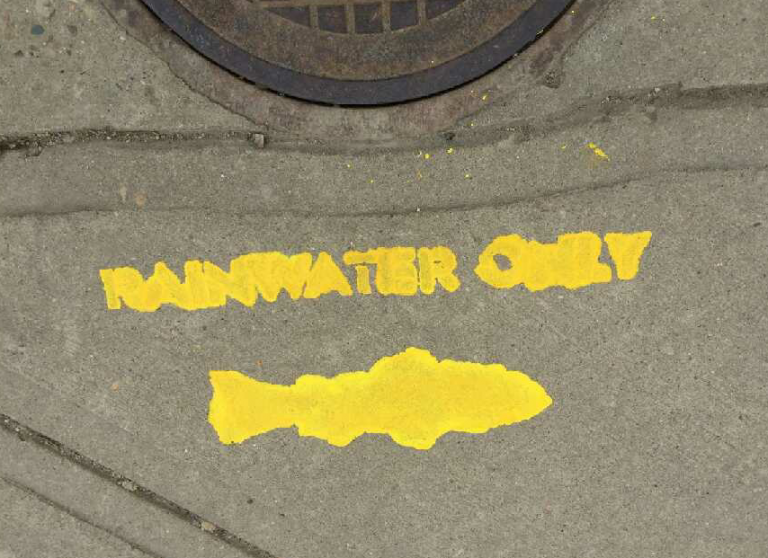 The groups then dispersed to begin painting yellow fish near storm drains to serve as a reminder that any materials going down storm drains affects us all. 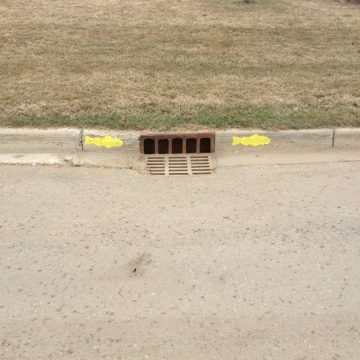 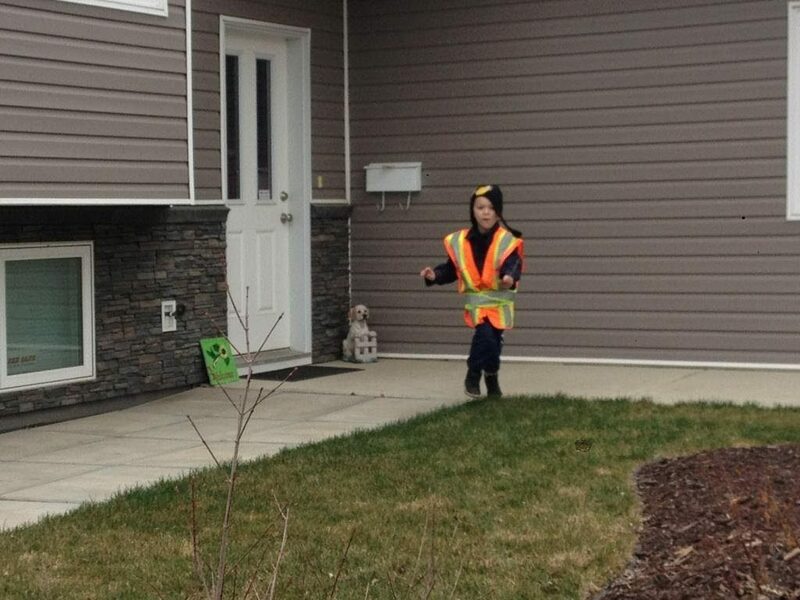 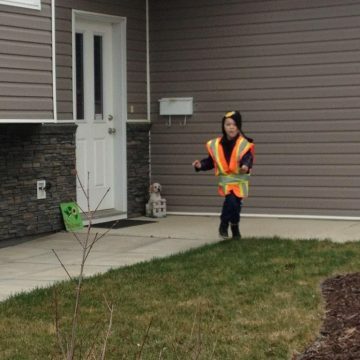 Groups also left yellow fish-shaped information pamphlets on doors in the community to inform residents of why yellow fish have appeared in their neighbourhood. 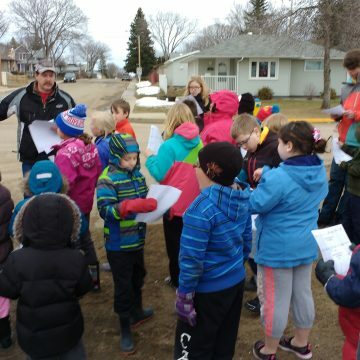 Our project was a success! 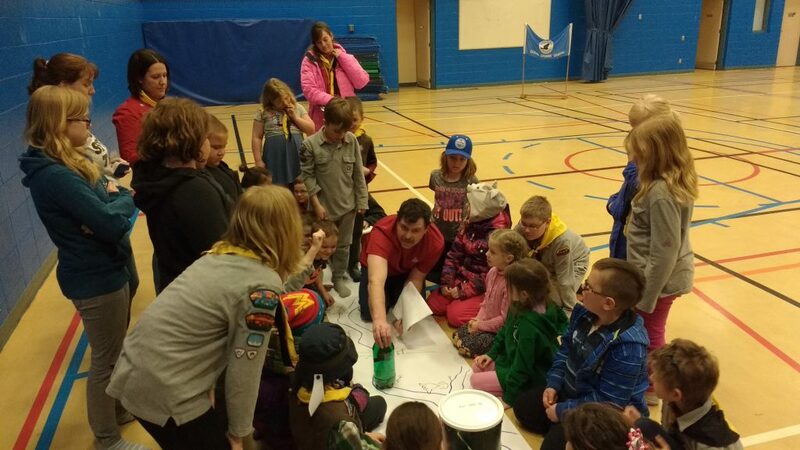 In review, we had in attendance: 9 Scouters, 24 Non-Scouters, 32 Scouting youth, and 9 Non-Scouting youth. 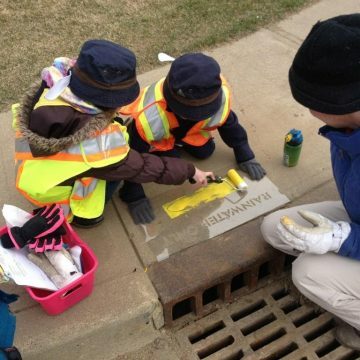 As a group, we painted 561 storm drains and distributed 612 Yellow Fish pamphlets. 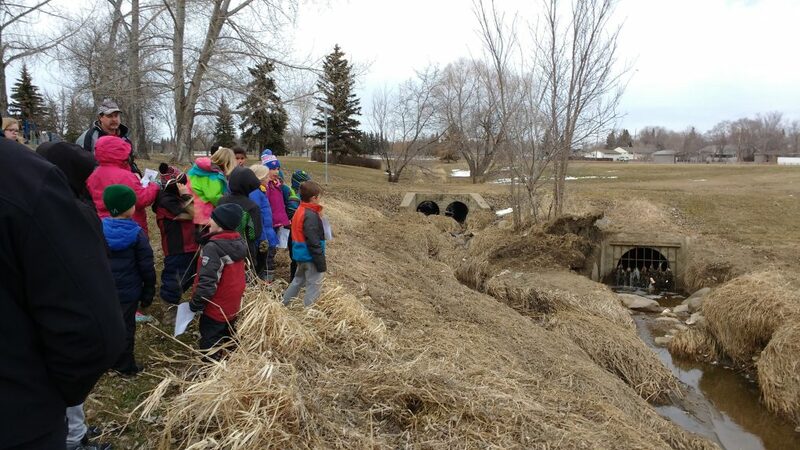 Through this project, our youth learned about their local water supply and how to protect it from hazardous wastes and chemicals. 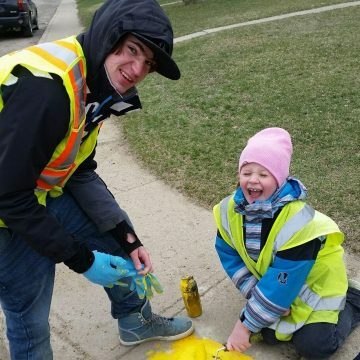 The youth shared that they were happy to see their work on their routes to and from school. 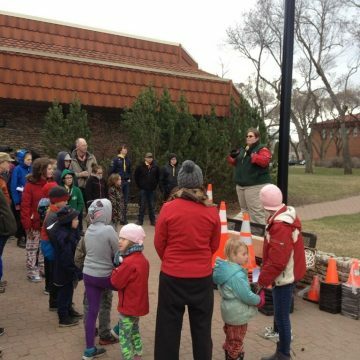 One of our parents shared that she and her family really enjoyed the event and that it was great that it focused on bringing awareness to the public about helping our environment. 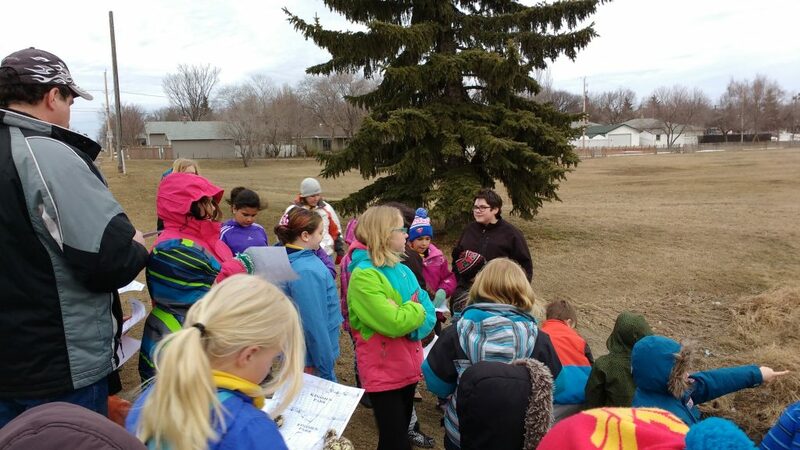 We’re looking forward to next year’s project!